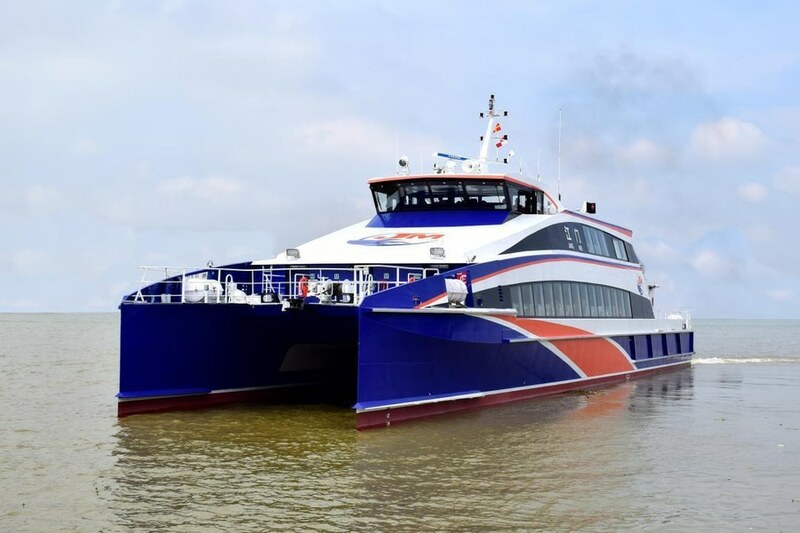 Hong Kong's Wang Tak Engineering and Shipbuilding Company has launched the 40 m catamaran passenger ferry Jiang Men. Operated by Chu Kong Shipping Enterprises, the vessel is the third in a series of Incat Crowther designed ferries that started with the Shi Zi Yang 7, delivered in 2016. 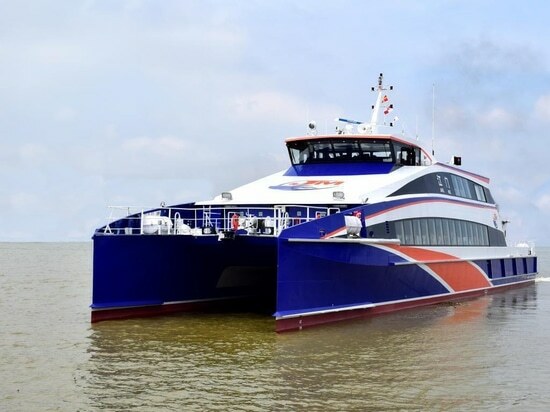 In China's competitive Pearl River Delta marketplace, Incat Crowther has continued to improve the design, realizing an 8% improvement in fuel burn. Engineered for robust structure and performance, Jiang Men accommodates 199 passengers with 162 economy class passengers seated on the main deck and 37 business class and VIP passengers seated on the upper deck. A large crew area is located at the aft end of the main deck, including sleeping quarters, mess room and pantry. Forward of this are stairs to the business class cabin, three toilets, luggage racks and a kiosk. The economy seats on this deck are arranged in a 2-3-3-2 layout that provides excellent access and wide aisles. The upper deck offers 28 comfortable business class seats with two VIP rooms and an oversize bathroom. The aft upper deck features a dedicated area for luggage containers to be lifted on and secured to the deck. Jiang Men is powered by a pair of MTU 12V2000 M72 main engines, each delivering 1,080 kW at 2250 rpm. She is propelled by MJP 650 CSU water jets for a top speed of 31 knots.